Jungle Book was but a warm up. It may be silly to say, but it’s something that seems truer and truer everyday. In 2016 it seemed odd that Jon Favreau was wanting to adapt the Disney staple into a strange Live-Action and CGI hybrid beast. Now we know better. Even though that film made roughly a billion dollars at the box office, it was an experiment of sorts. An attempt to push a technology well past its boundaries, to bring about a change. What ever do we mean with this slightly rambling opening? Well, we suggest you take a look at the full length trailer for The Lion King and marvel at some astounding technical wizardry. As for everything else in the trailer, it’s a rather nostalgia soaked affair. Offering glimpses of favorite scenes works, but the indication here is there may not be anything storywise that deviates from the past. Again, it doesn’t entirely matte when it all looks this good. The weirdest detractor here, is also the element that raises goosebumps: James Earl Jones. It would be hard to replace his booming timber, so the filmmaking team decided (wisely) to use him again. To also show how different this go will be, we’re graced by a few scant seconds of Chiwetel Ejiofor’s Scar. If everyone else is bringing the same vocal energy, this film will be off the charts. With a cast that includes Donald Glover, Beyoncé, Keegan-Michael Key, Alfre Woodard and Seth Rogen, that’s likely to be the case. What say you, though? Does this hit you squarely in the feels and wallet? Are you a big fan of what Disney is doing with their remakes? Is anyone thrown off by Pumba not being red? We understand this is based on real animals, but c’mon! Don’t sully childhood memories! Regardless of that minor quibble, we couldn’t be more excited to see how it all turns out. 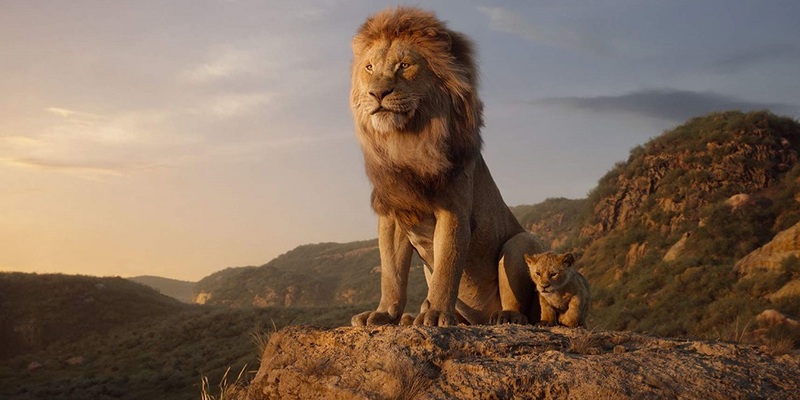 Make sure to mark your and prepare for a return to Pride Rock, when The Lion King parades into theaters on July 19.